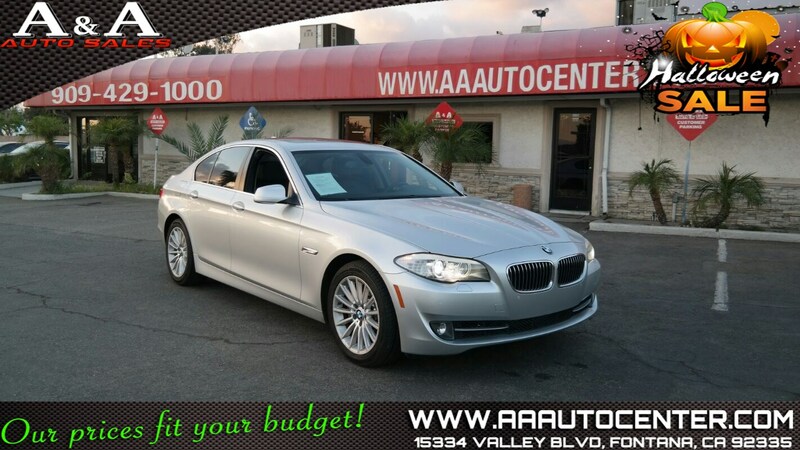 Feast your eyes on our debonair 2012 535i Sedan shown in Titanium Silver Metallic over Dark interior. This spectacular BMW is powered by a 3.0 Liter Turbo Charged 6 Cylinder that maximizes performance and results in 300hp on demand. Perfectly paired with a sporty 8 Speed Automatic transmission, our swift rear drive sedan sprints from zero to 60mph in just 6 seconds and scores an impressive 30mpg. Confident and in control, you'll love how connected you feel to the road while behind the wheel. Slip inside the tranquil interior of this 535i, take in the view from the sunroof, and enjoy the wealth of amenities that surround you. The sensation of supple leather on power front seats, wood trim, navigation, a leather-wrapped steering wheel and dual-zone automatic climate control immerse you in complete comfort. You'll appreciate the ease of our iDrive electronics interface as you stay connected via Bluetooth or listen to HD radio on a fantastic sound system.